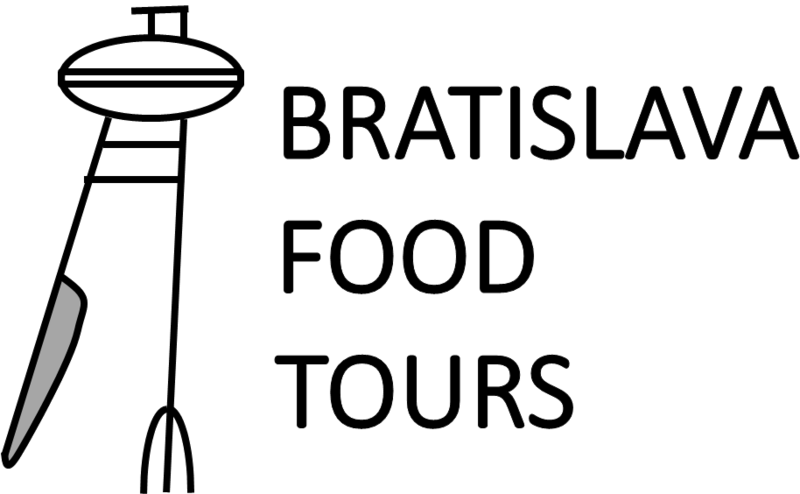 Part of our Christmas dinner, often served at weddings at midnight, kapustnica (sauerkraut soup) is one of the most popular meals on Traditional Food Tour in Bratislava. Yummy vinegar-y taste combined with divine pork is a gastronomic heaven for all the hungry travellers! However, don’t search for vinegar, source of incredible flavour is the sauerkraut juice. And you can cook it at home! 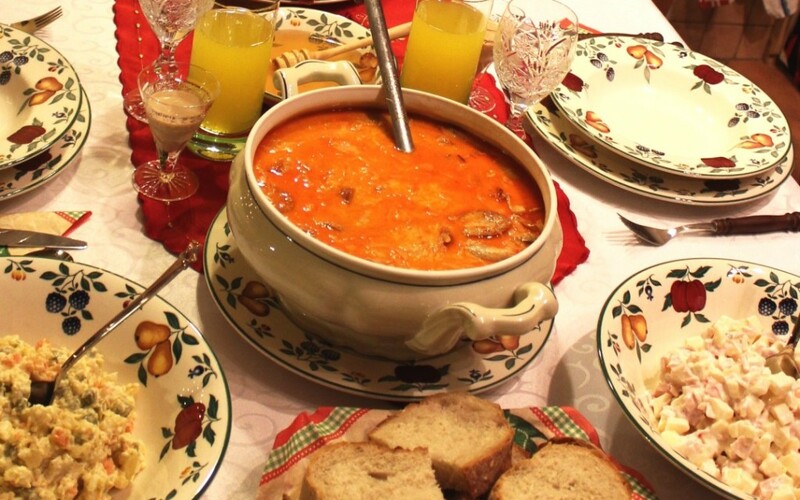 Taking a recipe and preparing your favourite Slovak meal at home for your family & friends is a whole different level of enjoying food travelling. This one is a family Christmas recipe from of our guides. Wash the smoked pork neck and let it cook in 2.5 l of water for app. 60 minutes until it’s nice and tender. Take out the pork and set aside for later. Don’t pour out the „broth“ and let it cool down to room temperature (this can be done the day before). When the „broth“ is cool enough, add roughly chopped sauerkraut, sauerkraut juice, whole pork shoulder and sausages. Add the spices (except for the paprika), garlic, salt, dried mushrooms, onions and apples. Bring to boil and cook over a medium heat for 45 minutes. When the meat and sausages are well cooked, fish them out and cut into small pieces – meat into cubes and sausages into rings. Pork neck (which was cooked earlier) cut into cubes, too. Put all the meat and sausages back to the pot, add paprika and cook for further 30 minutes. If the soup seems too thick, add some water. Yet, Slovaks say kapustnica has to be so thick that it makes a spoon stand. 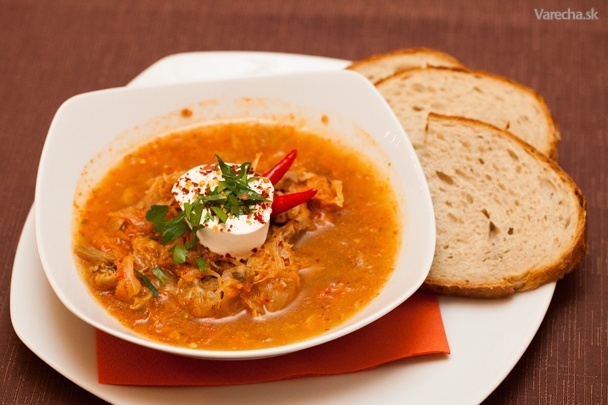 In the end, mix the flour with small amount of sour cream, add to pot and then add remaining sour cream. Let it boil, season to taste (add sugar if it seems too sour) and serve with crusty bread. Wow, this sounds so good! I’ve tried a number of sauerkraut soups, but this one sounds delicious and unique. Thank goodness I have a new jar of Bubbies sauerkraut in the fridge- I think I might have to make this soon!